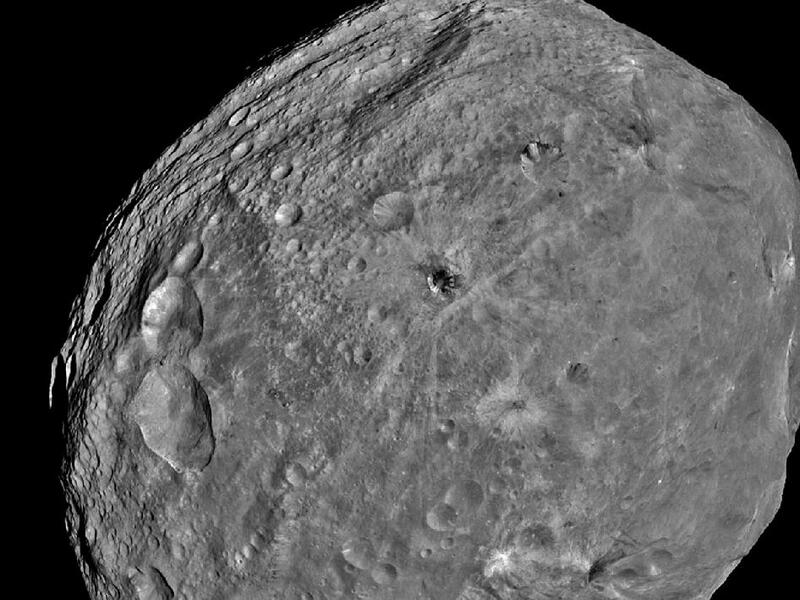 NASA's Dawn spacecraft obtained this image of the giant asteroid Vesta, the second largest body in the main asteroid belt located between Mars and Jupiter, with its framing camera on July 24, 2011. It was taken from a distance of about 3,200 miles (5,200 kilometers). Dawn entered orbit around Vesta on July 15, and will spend a year orbiting the body. After that, the next stop on its itinerary will be an encounter with the dwarf planet Ceres. This first detailed close up reveals cratered tracks on the surface of the asteroid which may have been created by battering from some other asteroid, scinetists and astronmers believe.